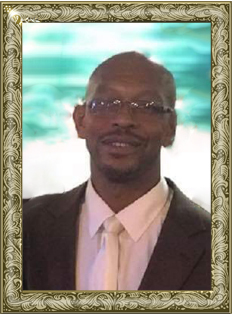 Mr. Maurice “Marty” Burch, 47, of Moss Drive, Taylorsville, went home to be with his Lord on Monday, January 28, 2019 at Gordon Hospice House due to injuries from a car accident in December. Mr. Burch was born November 15, 1971 in Alexander County, the son of Roscoe Napoleon Burch and Kelly Mae Boston Burch of Taylorsville. 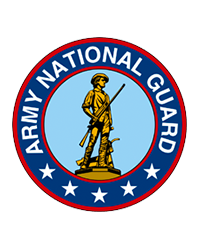 He was a US Army National Guard veteran, and was a member of Liberty Grove Missionary Baptist Church, where he sang with All Male Choir and was involved with young adult mission projects. He worked in the furniture industry and also worked part-time with his father as a painter. He enjoyed fishing and pitching horseshoes. He was involved with football and track long jump 4 x1 relay in high school at ACHS, where he received a number of trophies. He enjoyed watching his daughter play sports especially soccer and basketball. Including his parents, those left to cherish and honor his memory include: his wife, Christy Teague Burch of the home; a daughter, Faith Burch of the home; his oldest brother, Ricklar “Von” Burch of Morganton; his younger brother, Cody Burch of Hickory; numerous family members and friends. A Home-Going Service will be held at 3 p.m., Friday, February 1, 2019 at Liberty Grove Missionary Baptist Church. Rev. Ardeal Roseboro will be officiating and Rev. Elliott Boston, Eulogist. Burial will follow in the church cemetery. The family will receive friends from 6-8 p.m., Thursday, January 31, 2019 at Liberty Grove Missionary Baptist Church. Memorials may be made to: Gordon Hospice House, 2341 Simonton Road, Statesville, NC 28625. Condolences may be made to: www.adamsfunerals.com. Adams Funeral Home and cremation services is honored to be serving the Burch Family.